This entry was posted in Food, Personal Rants and tagged Baking, chocolate, Food, Hershey Kisses, Mini kisses, postaday2011, postaweek2011 by Huffygirl. Bookmark the permalink. Good for you, Huffy. Just keep telling yourself they’re for baking, not snacking. They even provide that helpful picture of the just-baked chocolate chip cookie on the bag in case you forget. I’m tired of this shrinking of food, too. It ruins the proportions of things. Like mini Oreos, for example. What’s the deal with that sliver of cream? Even DoubleStuffs don’t have the cream they used to. I need QuadrupleStuffs. QuadrupleStuffs! I love it. If I’m going to indulge in Oreos, I want the full cream experience. I never really ate these as a kid. I see you are a chef – maybe you ought to invent a dessert that uses Hershey’s Kisses and then you’ll be able to try them. Or do they not have them in England? Thanks for stopping by. Now they’re unwrapping our kisses for us. What next? At least before we were getting a little exercise along with our chocolate! The problem with unwrapping the Hershey kisses over the waste basket is that if one the least bit clumsy one drops both the wrapper and the kiss into the waste basket. Darn. Then fishing it out of the waste basket can be kind of messy and one gets the added attraction of some unkown taste along with the chocolate. Yuk! Yes, but it still beats picking up millions of miniscule scraps of foil from the floor. Have I told you how much I love chocolate???? 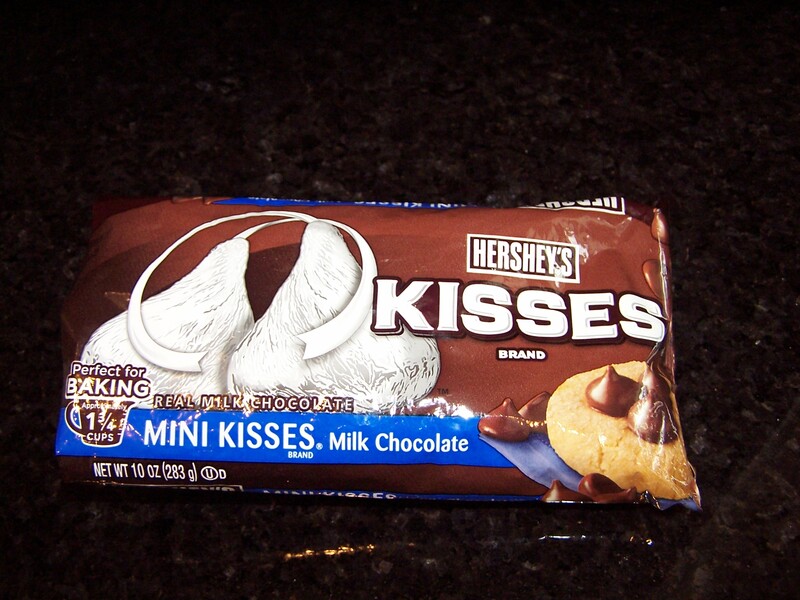 And with my diet….I have not had any in 2 weeks….now I am craving a huge bag of those little mini kisses! Aaargggg!! Back to my bike!! Pretty sure Hershey is messing with you. ROFL! This just made me roar. Had to pop in and tell you. ha! indeed. Dwelling in the same great Commonwealth once graced by Milton S. Hershey himself. omg….killing myself. 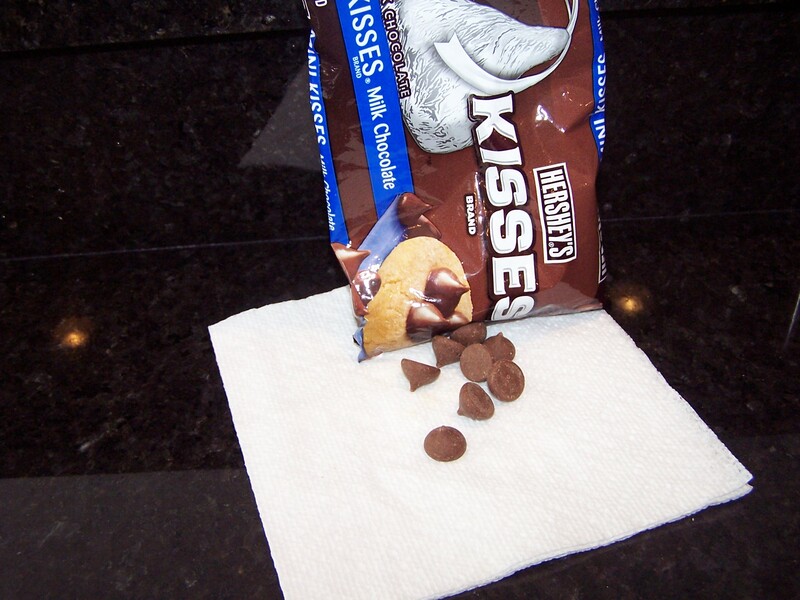 Don’t buy the mini kisses! And torture your personal shopper if he buys them. Love the “unwrap over the wastebasket”. Tell hubby, he could actually unwrap over the counter, and then gather them in one sweep into the wastebasket if he is indeed that clumsy! Reminded me of my ex girlfriend who lives in Texas. She told me once that she loved Kisses chocolate. I’m sorry it brought up bad memories for you. I wish you success with moving on with your life.